There are many products on the market that claim to grow hair, purify the scalp, and beautify and strengthen your locks. Grow Gorgeous Hair Growth Serum is another such product and, today, we’ll take a closer look at what it is, how it claims to work, and what real customers think of it. What Is Grow Gorgeous Hair Growth Serum? Grow Gorgeous Hair Density Serum Intense is a topical hair treatment that’s been getting a lot of hype. The name alone is a bit evocative – it’s exactly what we all want to do, right? Target fine, thinning hair with this unique, advanced formula containing a complex blend of 7 technologies to help your hair appear visibly longer, thicker and fuller looking. Intensely formulated to encourage hair thickness, the concentrated serum works within eight days to visibly improve hair length, whilst increasing hair density by 13% over the course of four months. Infused with hyaluronic acid to moisturize your scalp, it also contains bio-active pea sprout complex and bio-active complex of Chinese skullcap, soy sprout and wheat sprout, helping to activate and improve hair density. The intense serum contains all the same technology of grow gorgeous’ original hair density serum with a 3% concentration of caffeine to really wake up the hair follicles plus a glucoside compound which actively increases hair density. If your hair is thinning and you wish to have thicker, fuller hair, this is the serum for you. Ok, so this has some interesting ingredients. Bio-active pea sprout complex and bio-active Chinese skullcap, soy sprout and wheat sprout complex are two ingredients which I haven’t seen in any of the products I’ve used and reviewed. Grow Gorgeous Hair Serum does contain a couple of our old friends, hyaluronic acid and caffeine, both well-known to improve hair and scalp health. What about the others, though? Bio-Active Pea Sprout extract increases the number of hairs in the anagen phase (when your hair is growing) and reduces the number of hairs in the telogen phase (when your hair is still attached to your head but has stopped growing. In Telogen, hair will shed and new hair will grow again). Bio-Active Complex of Chinese Skullcap, Soy Sprout and Wheat Sprout stimulates new hair growth for fuller, thicker, healthier hair. Sprouts contain vitamin C, which is proven to promote healthy hair growth and keeps hair from becoming brittle and thin. Hyaluronic Acid provides healthy, lustrous hair and a moisturized scalp. HPA is one of the most water-filled molecules and is known as nature’s moisturizer. Caffeine plays a role in hair loss prevention. A bombshell 2014 study from Germany showed caffeine could encourage hair cells to produce more hair. These scientists placed follicles from hundreds of different human scalps in petri dishes. Some of the petri dishes were treated with caffeine. The caffeine experiment showed that the hair follicles that were spiked with caffeine grew much faster than the untreated cells. 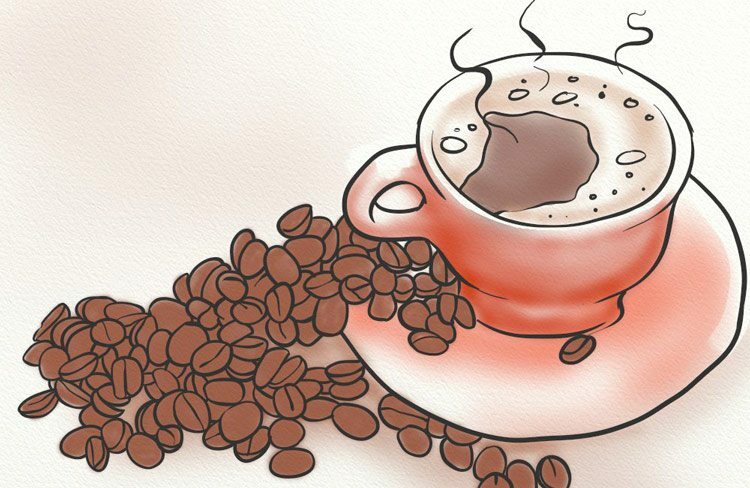 Because of this landmark study, many new hair loss treatments now include caffeine. At the time of this review, Grow Gorgeous Hair Growth Serum Intense has an average rating of 4/5 stars on Amazon.com, with over 70 total reviews. People who love it say that it worked to improve hair density fast- within a week. Noteworthy: people uniformly LOVE the way it smells. Some people appreciate how it’s packaged – a quality bottle and glass dropper for easy application. Most people experienced no greasy residue or oil after applying Grow Gorgeous serum. Several observed new baby hairs growing within a few weeks of using this treatment. Nearly everyone commented on how it had improved the volume of existing hair and strengthened their roots. One user claims that it works “better than Rogaine” – this is a huge claim, since Rogaine is one of few FDA-approved treatments for hair loss. Many use this product when experiencing post-partum hair loss, or hair loss after surgeries (including bariatric surgery). These women noticed quick, measurable improvement in hair strength and volume. Some say this is a costly product. The critical reviews say that it did nothing for their hair growth, but that they still loved the smell, which I find funny! Some negative reviewers were disappointed that they would need to use the product for a few months before seeing results. For most of us, the reality of hair loss and hair growth cycles means that three or four months is truly a “fair” test of whether something is working for us. How Do You Use Grow Gorgeous Hair Serum? Apply 20 drops once daily to the scalp either in the morning or in the evening. Massage evenly and thoroughly into the scalp until you feel the serum has been absorbed. Each bottle should last approximately 2 months with proper application. Do not apply to eyelashes or eyebrows. Do not exceed recommended dosage. So, it seems pretty straightforward. The glass dropper allows you to be precise with the application to your scalp. I appreciate that, since I tend to be a clumsy person and spill stuff everywhere when I have to pour or squeeze instead of apply drops. Another bonus is that this lasts for two months, which significantly reduces the perceived cost of treatment. This serum has overwhelmingly positive reviews online. The ones from people who’d tried all kinds of other hair loss treatments – vitamins, other serums, shampoos – are what stood out to me the most. This seems to be one of those hair loss products that works for women when all else has failed. For that reason alone, I’m recommending this serum as part of your hair loss treatment arsenal. Another major perk is how long each bottle is supposed to last – two months. This brings down the total cost of treatment from kinda pricey to totally doable, especially for those of us used to spending an arm and a leg on hair loss treatments. That’s great that this doesn’t leave the hair/scalp greasy or oily. That was my first thought when I read “20 drops.” Yooowzers! I tried to smell the shampoo on amazon through my screen but I guess technology hasn’t taken us that far….yet!! This product seems legit especially with the reviews from people that have actually experienced new hair growth and the one dude that says it’s better than Rogaine. Definitely will have to give this a go! Thanks for the post:)! This product looks amazing! Also an incredibly interesting read regarding hair growth, you clearly know your stuff! I like the way the post mentions that the serum doesn’t feel greasy as that’s one thing I can’t stand with my hair! Grow Gorgeous Hair Growth sounds promising and if it doesn’t grow hair you still get a fantastic shampoo and conditioner. Since my hair started falling out in sprigs yesterday I need all the help and encouragement I can get. Great article, well written and full of information. Thank you. I am going to try it. Hahahha, yeah I will know we’re at peak technology when smellovision is a thing. Thanks for the great comment – I agree that the dose seems kinda high and precise but it’s good that it doesn’t leave hair greasy or oily. And it’s also kinda funny that even in the negative reviews everyone was like “oooo that smell”! Hi Colleen – thanks for the comment and I’m sure some people in your life would love to see this as a stocking stuffer! Hi Deborah – thanks for the comment, I’m glad you came here for ideas for hair loss treatment. Definitely come back and let us know how grow gorgeous hair works for you. hang in there! Great product review for this serum. Do you know if it contains silicones or fragrance by any chance? Thanks a lot for this article.I will definitely purchase this product soon because my hair is weakening day by day. If i may ask how long will it reach me after i purchase? Thanks again. Great product! I don’t think it is too expensive. I’d rather pay for a product like this and see results in four months compared to lose my thickness or hair in general. Love the ingredients too! Sounds so natural! Thank you for your review again. I love your site and you keeping us up to date on all the natural ways we can prevent hair loss! thanks, Rob. Come back and let us know if you end up using this one, and how it turns out for you! This is interesting: Soy Sprout and Wheat Sprout also help with hair loss prevention (learning something new everyday). Overall this looks like a very good product. In the beginning you mentioned that it is based on an advanced formula containing a complex blend of 7 technologies. I could follow one technology with 3% caffeine but the remaining are not very clear to me. Could you explain some of these technologies again and how they make this product so great? Each has their own hair growth and scalp health promoting properties, and in combination work to help hair grow back fast, at least according to the people who use it! hair loss is a serious problem many people suffered of it. this seem like a good serum maybe I’ll consider it in the near future. I don’t really think the product is THAT expensive. I would – if the cost would exceed 100-200 $ – But it doesn’t. It’s a matter of fact good quality products come with certain price. If I knew it’s gonna work, I’d definitely purchase it, regardless of the price. thanks for stopping by, Aysha! Thanks for the comment and the perspective. You’re totally right – people OFTEN spend hundreds of dollars on a single jar of face cream or perfume. This is doable for many! This product looks interesting, and I’m tempted to buy it. I know it’s on Amazon, but can I go to the direct supplier? Would it be cheaper there? It’s actually cheapest on Amazon, thanks for asking! Not always true for every product, that’s for sure. I ordered this today and am eager to try it. In the past I have used the original Hair Density Serum and it really helped to make my hair long and strong, however, I have a thyroid condition and suffer from hair loss. I am optimistic that this will help since the other product worked so well. I may even decide to purchase the shampoo and conditioner as well. Thank you for your comment, Lalayna. I hope you’ll come back and share your thoughts about Grow Gorgeous Intense when you’ve had a chance to test it out! Thank you again for your kind words about the blog, happy hair days! I wash my hair at night, is it Ok to put on damp hair and sleep then style in the morning? They say it doesn’t leave hair oily, so this will be the test, and I’ll let you know. It should be ok to use it like this. If you’ve started, come back and let us know your results with Grow Gorgeous Hair! 5 weeks now using the serum / shampoo / conditioner (Density Intense versions) from GG. So far, no new hair growth noticed 🙁 but my hair immediately stopped falling out, so *that’s* worth the price of admission as of now. I WILL expect to see actual new hair growth at the 4 month mark, or I’ll stop using the serums and just stick to the shampoo/conditioner – because they are SO nice! And yes — the smell is very pleasant. P.S. I have the common all-over crown post-menopausal thinning — but growing length is not a problem for me. Great question, and I completely understand the urgency. If you have Amazon Prime – you’ll get it in two days for free!